Two-thirds of foundation CEOs believe that foundations can make a “significant difference” on important issues in society, but far fewer say that foundations are currently reaching that full potential, according to a new Center for Effective Philanthropy report commissioned by the William and Flora Hewlett Foundation. At the same time, the majority of foundation CEOs surveyed agree that specific promising practices can increase foundations’ impact in the coming decades. 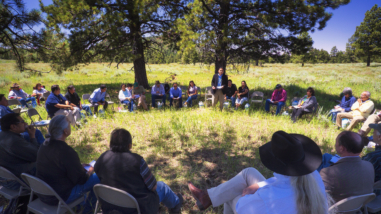 These findings come from CEP’s examination of the views of more than 200 foundation CEOs on the future of foundation philanthropy, one of two reports commissioned by the Hewlett Foundation and released at its 50th anniversary symposium. 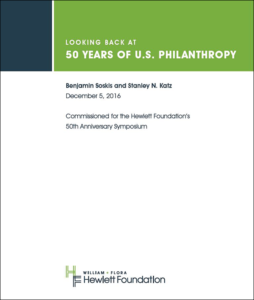 The second report by two top historians of philanthropy, Benjamin Soskis of George Mason University and Stanley N. Katz of Princeton University, looks at the evolution of philanthropy in America in the last 50 years. Soskis and Katz, co-editors of the HistPhil blog, examine the sector’s practices and trends, including growth and increasing diversity over time, philanthropy’s changing relationship with the state, and new “entrepreneurial variants” such as venture philanthropy and philanthrocapitalism. “The idea to generate original research for the conference flowed naturally from our purpose and desire to take a fresh look at the sector’s past and future,” said Hewlett Foundation president Larry Kramer about the decision to commission these works for the symposium. The event, “From Promise to Progress in the Social Sector,” is being attended by more than 300 leaders and experts from philanthropy, nonprofits, business, academia and government. 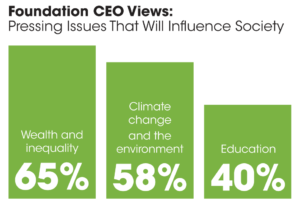 Three pressing issues that surveyed foundation CEOs most frequently say will influence society in coming decades are wealth and inequality (cited by 65 percent); climate change and the environment (58 percent); and education (40 percent). The majority of foundation CEOs agree on several promising practices for increasing foundations’ impact in the coming decades, including 69 percent that point to learning from the experiences of those they are ultimately trying to help, and 67 percent that cite learning from the knowledge or experiences of grantees. Most foundation CEOs characterize the current difference being made by foundations as “moderate,” with just 13 percent saying that foundations are currently making a “significant difference.” But 67 percent say it “is possible” for foundations to make a significant difference. Most foundation CEOs said foundation philanthropy has a unique role to play in society, relative to other sectors, with 60 percent describing the foundations’ ability to experiment and innovate. 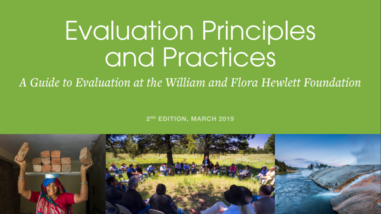 Also see: In Stanford Social Innovation Review, Phil Buchanan and Ellie Buteau write about the CEP survey and what it means for foundation philanthropy. 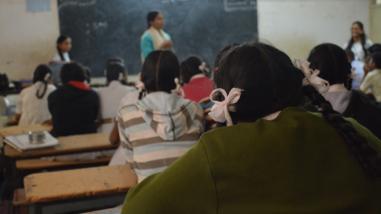 In a separate piece, foundation CEOs reflect on the report findings. Learn more about the new research by following the conversations on Twitter using the hashtag: #hewlett50.